← Getcher “Bernie is my Comrade” shirts before they’re outlawed! 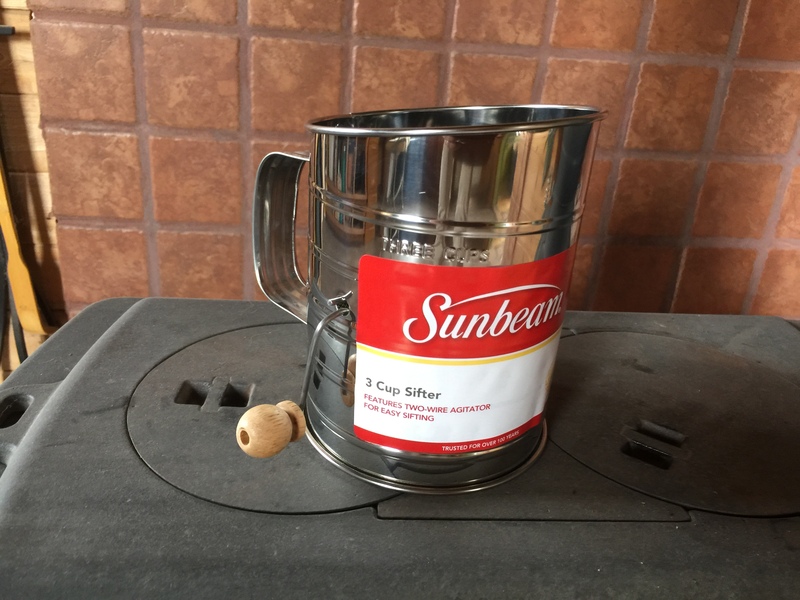 I turn 65 years old this month, and ever since I was a little kid I have wondered – exactly what is a flour sifter for? I mean, sure, I get that it sifts flour. But why does flour require sifting? Well, last week I was up in the pantry loft sorting through some stuff, and I came upon three 5-lb bags of flour that got shifted behind some other stuff – probably when I first set up the new pantry going on two years ago – and was way older than I normally allow flour to get. It seemed fine, and it bakes up okay but it had really set up and it broke into some truly annoying lumps. So today, in hope of not having to order one on-line knowing it wouldn’t arrive until after I’d already used up that 15 pounds of flour, I went from store to store looking for a flour sifter in the crappy little town nearest where I live. The dollar store didn’t have one. The food store had a tiny one that wouldn’t have worked and cost $15. The drug store turned out to have exactly what I was looking for. Yeah, it’s just that kind of town. I may never need it again after I finish with this batch of flour, but if the situation ever comes up again I’m all set. Oh, and I got that trailer tire fixed finally. So that’s done. Just looked up “sift” in a cookbook. What Joel said, like treating your lawn after winter, it aerates and de-lumps stuff. Joel, given enough time all powder compacts. That’s the reason why, when you’re looking at your ABC chemical fire extinguisher, you should be taking it off the hook, flipping it upside down and giving it a few wacks with a rubber mallet. 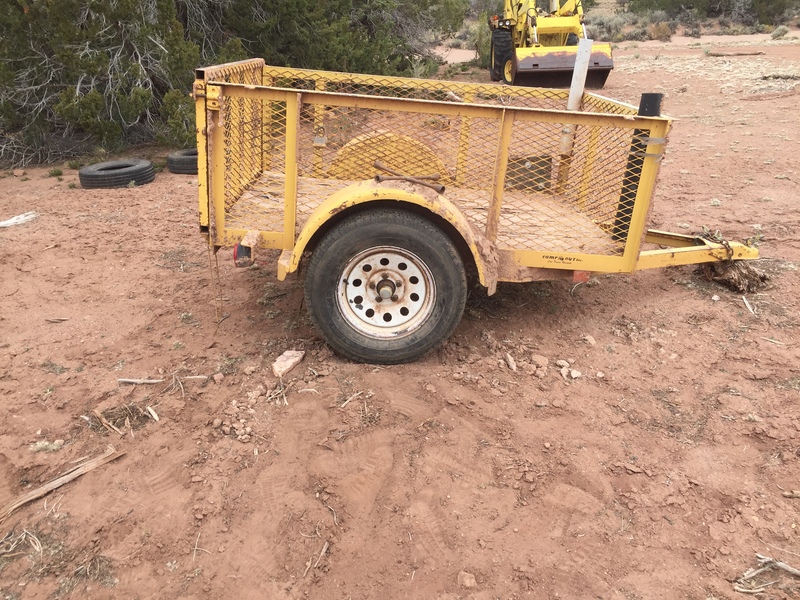 Glad to see the trailer back in action. I buy the cheap store brand flour which is always a bit lumpy so I use my sifter a fair lot. It’s kind of fun having it because it was my Grandmother’s. Here I thought they were for straining out weevils and rodent turds. If you have a mesh strainer it will work for a sifter in a pinch. Cocoa powder and powdered sugar need to be sifted before use, also. Is that flour sifter lithium battery powered, WI-FI enabled and part of the Internet of Things? There’s a rational, scientific reason for flour sifters: to improve the accuracy of volumetric measurement. America has always used volume for cooking recipes, but Europe has always used weight. Flour can be as much as 2:1 different in density due to compaction, but freshly-sifted flour is pretty much always the same (do NOT flatten down your flour when you measure it!) and this is the primary reason for doing it. It also works well for thoroughly mixing dry ingredients. That, and a good whip (or whisk), which totally eliminates the need for a mixer unless what you’re doing is really thick like cookie dough. Probably the ones you order from Amazon are. This one could have been made in the ‘50’s. Actually that’s probably another good reason that Grandma knew all about though it was never mentioned in the literature. I remember the “sift dry ingredients together” process from years of my mother and grandmother baking. Also, the sifter works well for flouring your countertop when rolling out and/or kneading dough, and flouring your dough ball. Kentmcmanigal beat me to it, that is EXACTLY what they were invented for, sift out the bugs, stone chips from the grinding process and poorly ground kernels, before using flour. The days of truly sealed containers did not exactly arrive until the late 1700s anyway. Sifting is especially necessary for gluten-free baking, if you ever have to go that route.